A former Ottawa homicide investigator says he was told years ago not to investigate the brutal slaying of an Ontario doctor in India, despite his belief that there is enough evidence to justify the extradition of an Ottawa man who Indian police have issued an arrest warrant for. A former Ottawa homicide investigator says he was told years ago not to investigate the brutal slaying of an Ontario doctor in India, despite his belief that there is enough evidence to justify the extradition of an Ottawa man for whom Mumbai police have issued an arrest warrant. 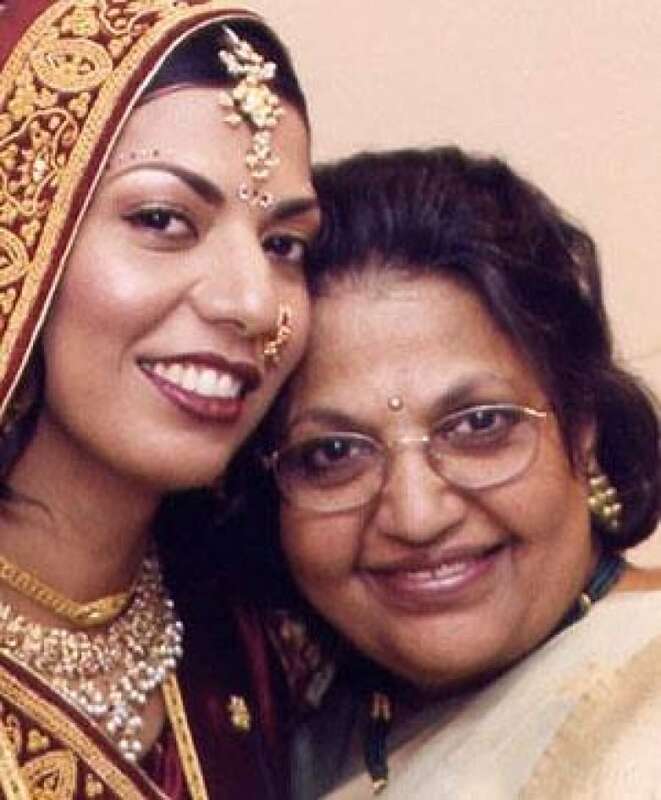 Asha Goel, who had worked as the chief of obstetrics and gynecology at Headwaters Health Centre in Orangeville, Ont., was found dead in her brother Suresh Agrawal's apartment in Mumbai on Aug. 23, 2003, suffering from severe injuries. Indian police implicated six men in her slaying, including her brothers — Suresh Agrawal, who died of natural causes after Goel's death, and Subhash Agrawal, an Ottawa resident, who wasn't in India when the victim was killed. Police in Mumbai allege the motive for Goel's killing was her intervention in an dispute over the family partiarch's multimillion dollar inheritance, which the two brothers had wanted to split between themselves. Ken Doyle, who worked for the Ottawa police for 30 years, says he believes the victim's husband, Dr. Sadan Goel, and his family have been denied justice in the nine years since the doctor's slaying. "To Dr. [Sadan] Goel: I am extremely embarrassed and disappointed not only in policing and justice within Canada, but by the fact that I have been avoiding this gentleman because I can't tell him anything he doesn’t already know," said Doyle. In early 2004, the Goel family called Ottawa police and were referred to Doyle, a homicide investigator at the time. He tried to help them, and said he was told by superiors to assist the family, but not to investigate the case further or to submit any official reports. Doyle told CBC News in an interview that the case "really disturbs" him. "Because your hands are tied from the onset. I was instructed through our chain of command that we were not going to conduct an official investigation." Ottawa police say they've looked into the Goel case, but were unable to investigate until a formal request is made by Indian government for an extradition and the Canadian government accepts it. The investigation remains in the hands of Indian authorities until the Department of Justice approaches India and approves a domestic investigation, said Ottawa police spokesman Marc Soucy. While Ottawa police did not conduct an official investigation, they sent an investigator to India, said Soucy. But he didn't know the name of the investigator or when that individual went there. Doyle said he had met once with officials from the Department of Justice about the case. He couldn't say exactly when he held the meeting because he didn't have his notes from his days with the Ottawa police. Doyle didn't want to discuss the details of the meeting, but said that it did not help to further the investigation. "We do co-operate with the Indian officials and we will continue to do so," Justice Minister Rob Nicholson told CBC News on Wednesday. "We all have a stake in that and certainly our condolences go out to Dr. Goel and her family." But the Indian investigator who oversaw the case doesn't see it that way. "Every time there are queries from the Canadian side to provide information and we are supplying information," said Jaywant Hargude, now the assistant commissioner of Mumbai police, in an interview. "And they are [assuring] us they will co-operate with the investigation, and they will provide information for us, but so far there is not much development in this case." Hargude said Mumbai police believes Subhash Agrawal conspired to plan the slaying of his sister over a dispute surrounding the estate of the family patriarch. 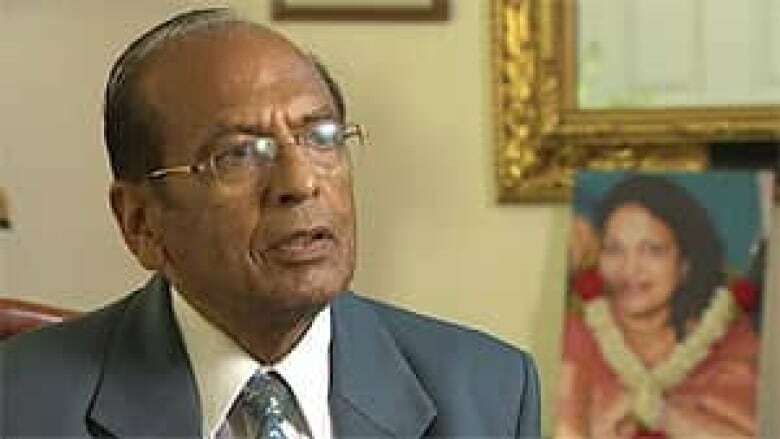 Hargude also told CBC News that on the night of Goel’s death there were calls between Subhash Agrawal, his brother Suresh, and the other men implicated. Questionable money transfers exist, said Hargude, who added he could not provide further details because of the continuing investigation. According to Hargude, Subhash Agrawal, who has not been formally charged, is also paying for the legal costs of the men accused of killing his sister. Mumbai police issued a warrant for his arrest in 2006, although Agrawal has appealed that and the matter is now before the courts in India. Interpol had also issued a red corner notice, which is an international alert for a wanted fugitive when an arrest warrant is issued and is seen as a means to extradition. The notice was later withdrawn, although Interpol won't say exactly when. "I'm not suggesting the individual is guilty of any crime. But they seem to have the evidence in India to request an extradition order," said Doyle. "A red corner notice had been issued for his arrest some time prior. [The Department of Justice] denied knowledge of that, although I had a copy of that on my desk." Mumbai police say they have asked Canadian authorities for Agrawal’s phone and bank records in Ottawa. The first such request was received by the Canadian government in September 2006, and others have been filed under the mutual legal assistance treaty (MLAT) that Canada has signed with India, which allows for co-operation on criminal investigations. But Indian police say they have received no help from Ottawa. Indian authorities resubmitted their request in 2008, and again in 2010, with the help of Gary Botting, a Canadian lawyer specializing in extraditions, says the Goel family. Both times the Department of Justice responded in writing with more questions, and did not share any information with Indian police, says the family. The Department of Justice has told the Goel family it cannot discuss details of the MLAT process. Doyle, meanwhile, had spoken with Indian authorities when they visited Canada in 2006 and obtained DNA evidence from them that he sent to Thunder Bay for testing, but no further investigation ensued. He retired as an Ottawa police officer in January 2008, and flew to India the next month on his own time. He gave a presentation at the National Pathologist Conference in Mumbai and also spoke to Hargude. Doyle also said he spoke to members of Interpol in an attempt to assist the Goel family, but the body provided him no further information. "I don't have a clue what they're thinking," said Doyle, referring to Canadian government. "But I'm telling you the only reason you're sitting here today is because the family has had the financial resources to keep this investigation … in the spotlight. They've gone to the media, they've gone to politicians. They've done anything and everything possible and they're [pleading] for help." Agrawal, meanwhile, continues to live in Ottawa, where he owns and runs a residence that provides housing for university students. He declined an interview request, but said in a written statement that he had nothing to do with the slaying of Goel, whom he said he "loved dearly." "Others stood to gain enormously from her death, both financially and otherwise," he said. "These allegations, made by other family members, that I should be investigated or charged, are utterly false and without merit, and unsupported by any evidence whatsoever over the past nine years." Doyle says Agrawal "doesn't appear to have anything to fear whatsoever. He continues to carry on his business and is living quite a nice life from what I understand. He's committed no crime as defined by Canada because nobody's bothered to properly investigate. So why shouldn’t he enjoy a great life?" Dr. Sadan Goel, now 74, is worried he may not live to see justice done. "A lot of people pass away by this age," he told CBC News. "And I have started to wonder: Will I see justice in my time, when I am still living and my brain is able to grasp … what has happened?"